Home Sport News Football Will Piszczek stop Cristiano Ronaldo? Will Piszczek stop Cristiano Ronaldo? Today the Champions League returns. We are awaiting for some interesting hits, including the one most important – Borussia Dortmund will once again play at home with the great Real Madrid! Last year both clubs also met in the group stage. Then both matches of Borussia with Real ended with the score of 2:2. And each time they were great shows! In Germany, the team from the Spanish capital acted as a leader twice during the match, but Pierre-Emerick Aubameyang and then Andre Schürrle made the score equal each time during the game (Germany’s lead player scored the goal in 87th minute bringing the game to a draw). How is it going to be this time? Strangely as it may sound, but probably the hosts will be the slight leaders. The “Royals” simply got a bit breathless and do not impress, as in early August. But with them we will never know if they fire up? Let us recall one more thing – last season Real finished the Champions League group stage in second place, behind … Borussia. 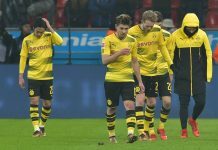 This is the first such case since the 2012/13 season, when the Madrid team did not go out of the group as a leader – then again Borussia proved better. Would the Germans be the the favorites for the third time? We keep our fingers crossed for Łukasz Piszczek! The Pole will have a hard life with Cristiano Ronaldo, but we believe he can make it! 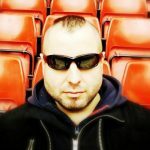 Dortmund: Bürk; Piszczek, Papastathopoulos, Bartra, Toljan; Şahin, Dahoud, Götze; Yarmolenko, Aubameyang, Philipp. Madrid: Navas; Carvajal, Varane, Ramos, Nacho; Modrić, Casemiro, Isco; Bale, Ronaldo, Asensio. Previous articleCristiano is getting married?